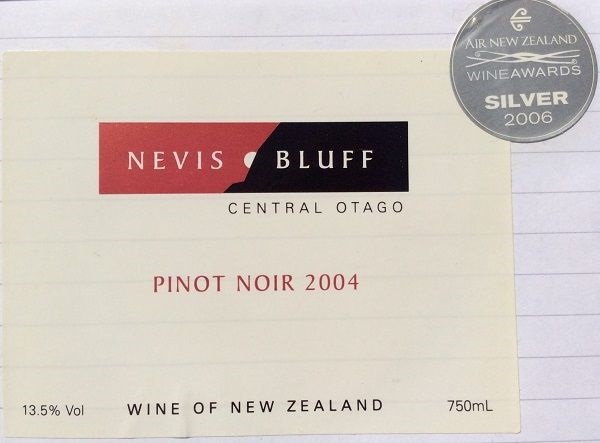 One picked up at the Central Otago Wine Company in my last day in Cromwell, and I deliberately went for an older vintage to get a sense of where Kiwi Pinots could go. Initially it was a bit cold, so took time to express itself, and it was surprisingly youthful. Pale ruby core with the first signs of garnet on the broad rim. Medium intensity, and progressively more expressive: touch of undergrowth and toast but still bits of wild strawberry, oak, cinnamon, smoky ‘wood / leaf’ smoke, bacon and buttery hints (malolactic, I think!). Strawberry fruit with citric, slightly mineral undertow. Milk chocolate and again slightly buttery on the palate. Decent acidity, slightly chalky, medium tannins, and reasonable length. Not bad. A good thing for the night before my WSET Diploma finals!